The rice should be Calrose and properly cooked and seasoned. It should be sticky and firm as well as a little sweet. Bad rice equals bad sushi. Start with namesake, Hamachi and tuna. 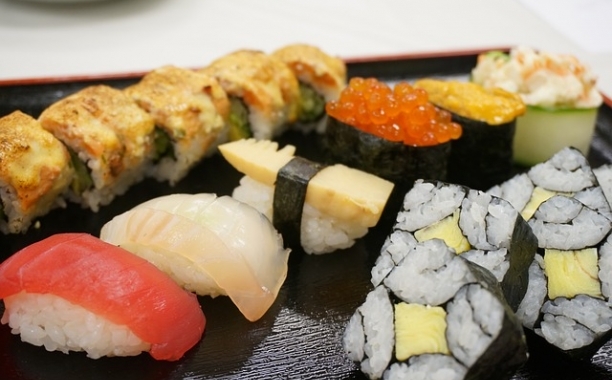 If they taste good, move onto the Uni and Saba, then try Unagi and tuna rolls. The colors should be vibrant and pop out; salmon should be orange, not purplish-brown; Maguro should be blood red; Toro should be marbled pink. 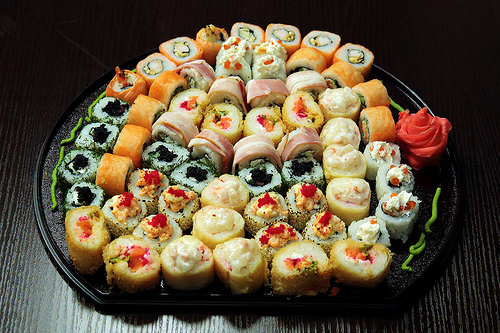 Discover the different variety of Sushi in our Sushi section. The nagaimo yam (a.k.a. Dioscorea opposita or Shan Yao) has gained significant popularity as a healthy side dish to add to any Asian-themed meal.